Book Release Delays Make the BIG DAY Sweeter! 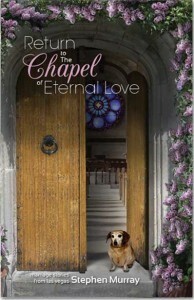 The release of Return to the Chapel of Eternal Love was intended to be released in the middle of December. I am pleased to announce that after an unfortunate sequence of unforeseeable delays it is now finally released and available! I have been signing copies like crazy, and for those of you who pre-ordered, Santa’s lost elf has been busy stuffing the envelopes which have been stamped and addressed since your checks arrived. The books will be dropped at the post office first thing today, so to all of you who pre-ordered many thanks, you will receive them soon. I hope you enjoy the book once you receive it. 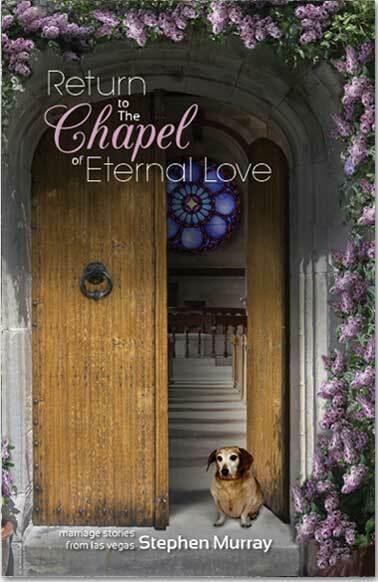 It picks up five years after that day we spent with Rosemary, her faithful dachshund Buster and all the couples who tied knot in the Chapel of Eternal Love. Where are they now? What have they been doing? More importantly, what is the compelling reason beckoning them all to Return to the Chapel of Eternal Love? Interested in finding out? Order your copy here !! !